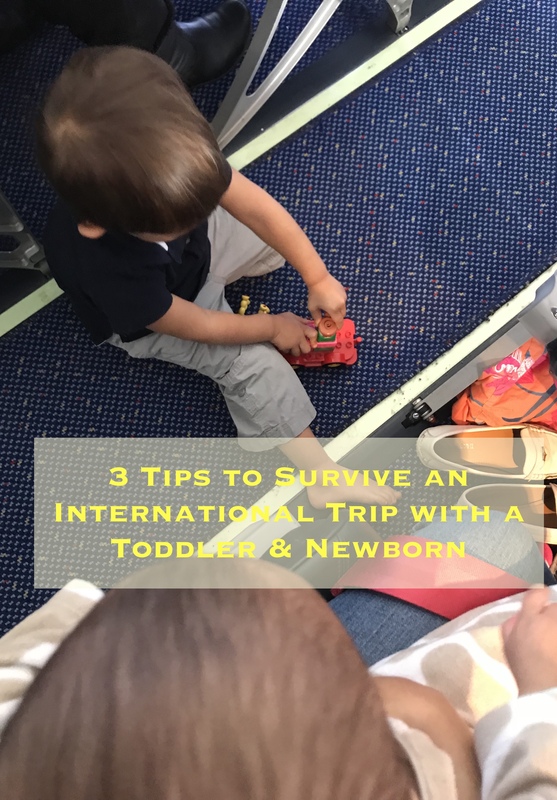 That’s right folks, how do you survive traveling with a toddler and newborn across the world? You don’t. Just kidding! You can travel with babies and toddlers but you need a few tips. And a lot of drinks. Hahaha. #1 Think positively – This may sound like a bunch of juju, but you are going to make it to the destination. There maybe a lot of crying, screaming, and wondering why you choose to torture yourself, but you and the kids will reach the final destination and hotel in one piece. Take a deep breath and know you are embarking on an experience together – that is priceless. #2 Entertain & Food – Depending on the age of your kids, you can provide them with some entertainment. On long distance flights this may mean a lot of toys and creative ideas, short haul flights have it easy. Pack toys and books that your kids like and are light weight. Younger toddlers do well with magnets, stickers, washi tape, and lightweight books. Older toddlers can do sticker books, Duplos, dolls, cars and other imaginative play. Pack snacks! Lots of good snacks. Don’t bring out the candy and junk food because the last thing you need is a hyperactive toddler. Pack Cheerios (puffs), small sandwich bites, non-juicy fresh fruit like bananas, blueberries, cut apples, rice crackers, cheese sticks, pouches, water bottle and milk. #3 Give yourself a break – There will be meltdowns. You will cry, the children will cry, everyone will cry. It’s okay. Hang tight. Breathe (see tip #1!). Eat an extra chocolate for yourself. Have a drink. Don’t enforce all the rules you have at home, though please don’t be the parent who puts headphones on and ignores the kids. When you reach your destination, take a hot shower. You deserve it – love yourself. I hate the cliche that “you can do it!” because traveling across the continent, the Pacific, the Atlantic on a plane with young ones is terrifying. All I can say is, you are not alone. Previous PostPrevious How Much Does a Newborn Cost?